Opened in time for the first day of classes as finishing touches were being applied in September, the expanded Singhmar Centre for Learning brought a major new presence to Edmonton’s Norquest College. Designed by Canada’s Dialog, the newly opened $192.3 million expansion project represents the last work of late Dialog Principal Tom Sutherland, who tragically passed away in a 2015 skiing accident. 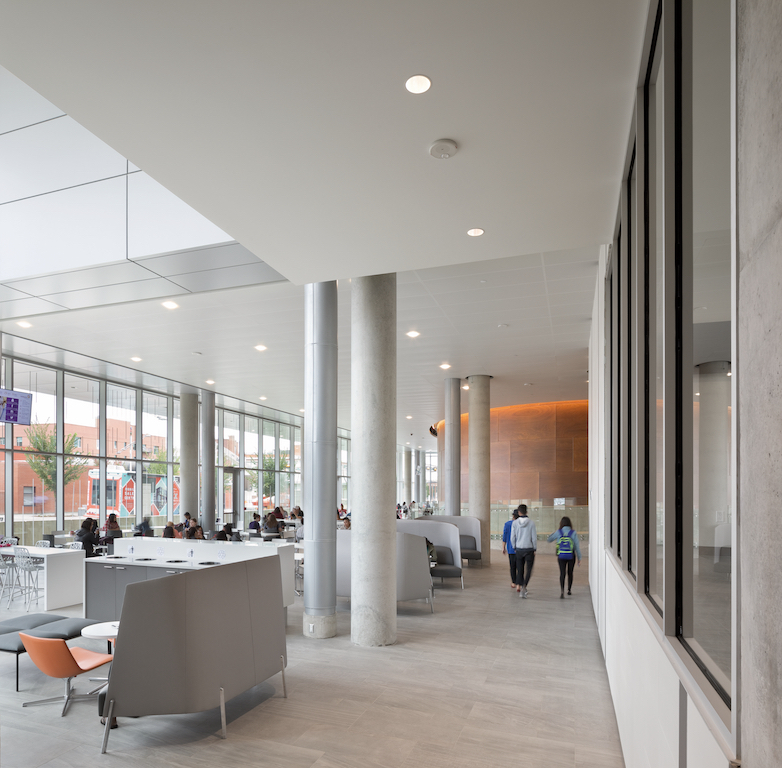 Initiated to help serve the college’s quickly growing student population — which now numbers at over 15,000 — the new Singhmar Centre was designed to serve the needs of a highly diverse student body, where over 100 languages are spoken. For the designers, fostering an inclusive student experience was a key goal. Prioritizing open communal spaces with ample natural light, the design works to promote social interactions and stimulate a sense of community. Alongside 24 classrooms and 26 laboratories, the Singhmar Centre also features an Indigenous student centre, a child care centre, as well as a Growth and Harmony centre, a bookstore, and a variety of small retailers and cafes. 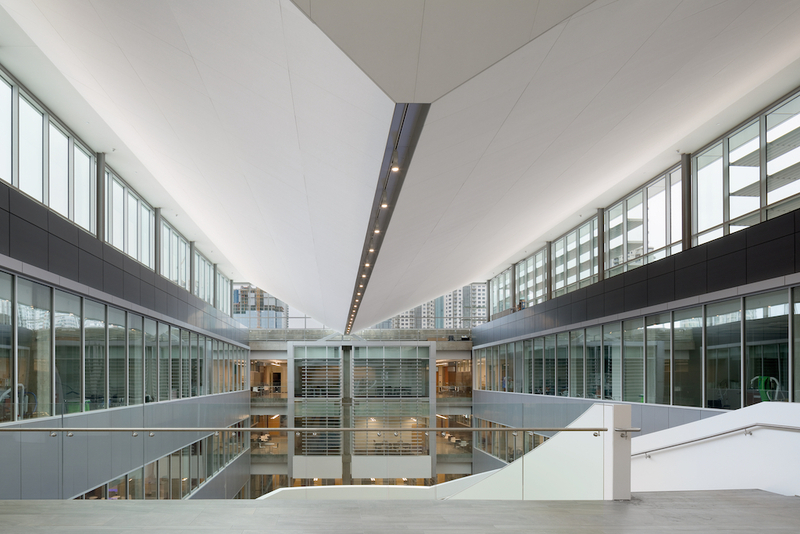 Designed to meet LEED Silver standards, the facility is built to maximize natural light while remaining cool, with a solar chimney on the roof, and natural draft throughout the corridors and shared spaces. 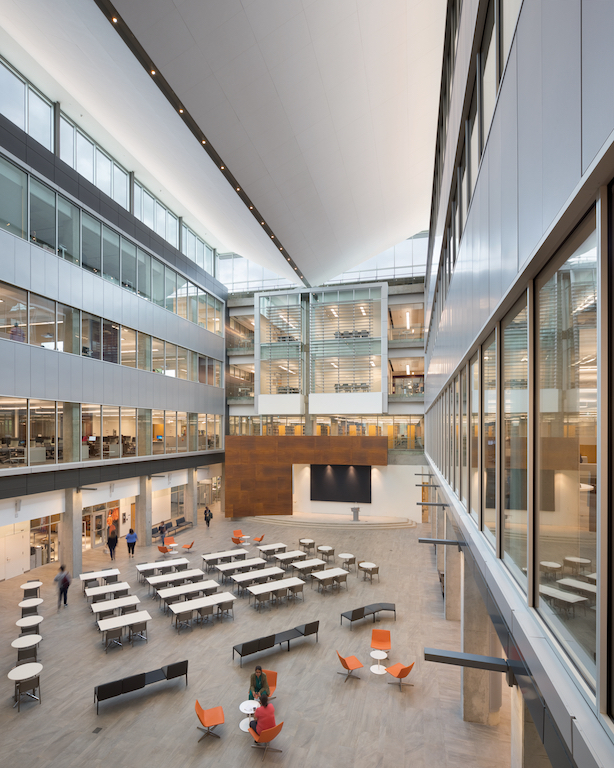 While an energy-efficient building envelope of precast concrete, anodized metal, zinc details, and high-performance glazing defines the exterior, warmer wood tones mark the interior spaces, creating a comfortable and welcoming ambiance. “The energy, intensity and passion that Tom brought each and every day on the project continues to inspire the entire team to continue his vision and stewardship of integrated design. 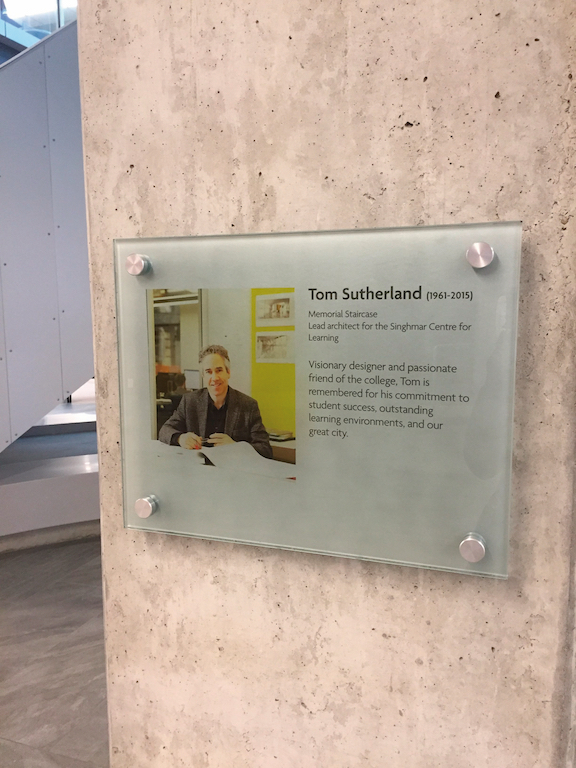 NorQuest honours his dedication to the college and the role he played in planning, getting approval and funding, and designing the downtown campus with special recognition around the feature staircase in the atrium.